Almost in panic! Christmas festival is only one month away. And I only have time for one more item, this time it will be tuscan table. 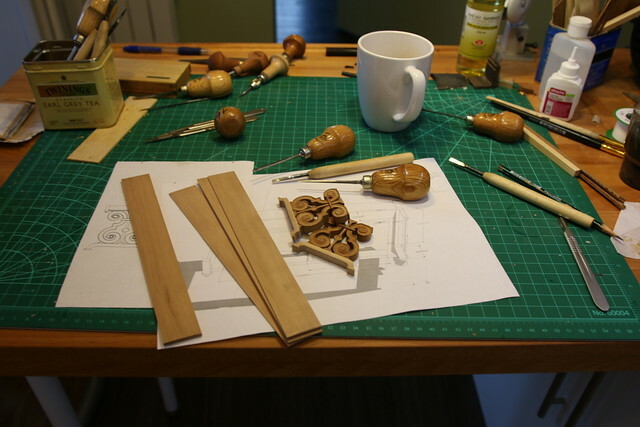 Lots of work here – carved legs with lots of details, turned parts, marquetry top, drawers… This table is kinda huge for me, legs are 7mm thick, quite unusual for me. WIP photos in all the details will be later I hope, but for now it’s all about assembling the parts. I made the legs already, drawers mostly. 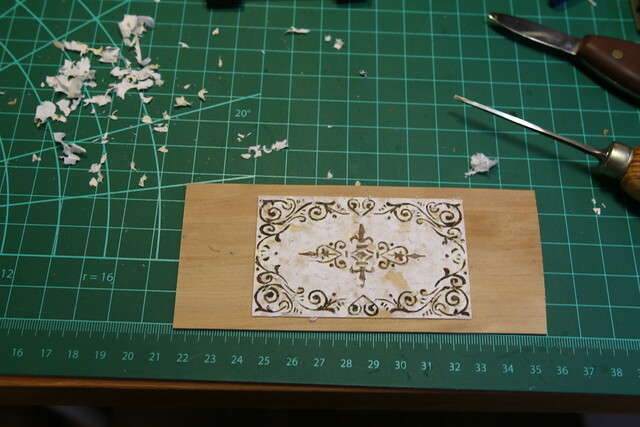 As for marquetry top, it’s all rather simple, I used a classical ornament design. 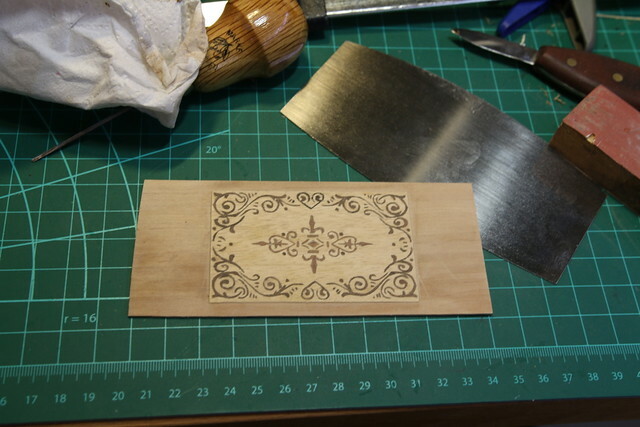 To be honest, I didn’t plan it to be marquetry, because it’s not very typical of tuscan style. 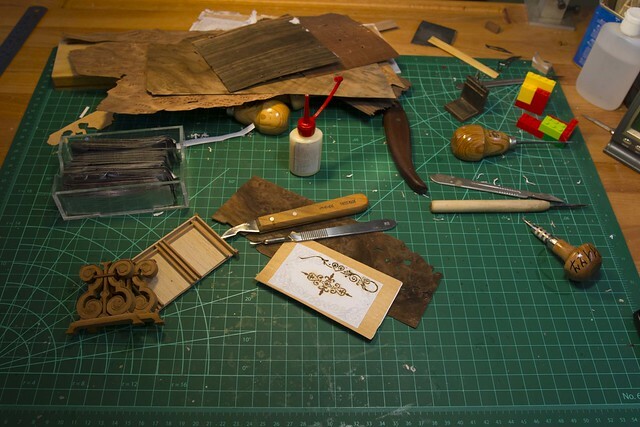 But I didn’t have enough time for experiments, and.. as all my items, well, most of them, have marquetry I decided to try. This time I was worried – if you work in free design pattern, let’s say landscape or portrait, you can make a mistake, it won’t be a problem. But with symmetrical design like this I had to be very precise and accurate. I used window method here, nothing new, and I think the top turned out quite good. Then I sanded the wrong side of marquetry panel and glued it to the table top. I used pear wood here. After gluing I remove the rest of the paper. It’s all very easy, just time-consuming. 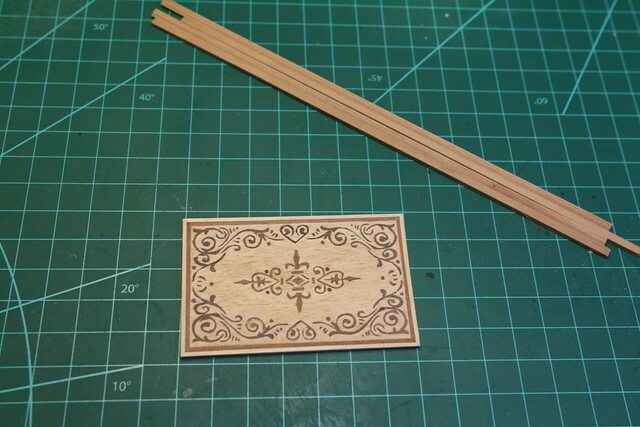 After that, I glue some kind of a frame and make mouldings. 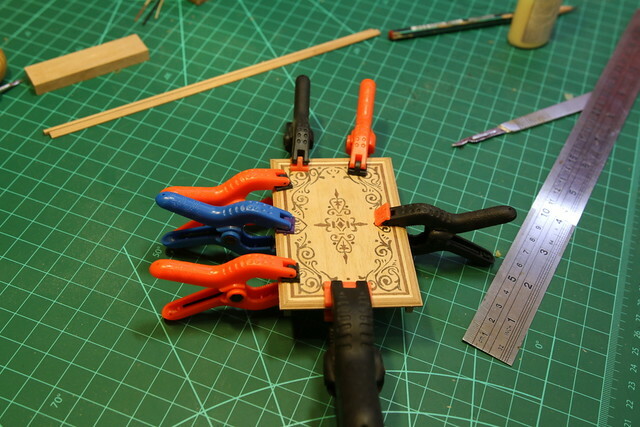 Then I glue drawers compartment to the table top. I’ll show you the rest next week, stay tuned.